Hanako Maki | The PHOENIX Henry Redman, Hayley Spitler and Nick Schultz spent the entire month of March living out of suitcases and woke up before sunrise more than once to catch flights to games but it was worth it for the Ramblers run to the Final Four. I don’t think anyone thought the Loyola men’s basketball team would make a run to the Final Four this year. Heck, I was just happy to get the opportunity to go to the tournament. But I’m so amazed at what this team was able to accomplish this year. After the 2017 season, I knew this year’s team would be good. The Ramblers had lost one of the program’s all-time greats in Milton Doyle, but seniors Donte Ingram, Ben Richardson and Aundre Jackson were returning; Clayton Custer was ready to make a jump in his second year on the court for Loyola; there was a kid with promise coming off his redshirt year after transferring named Marques Townes, and Porter Moser’s recruiting class looked really good on paper. I knew they’d be good, but I didn’t know they’d be this good. Turns out Ingram, Custer, Townes and Richardson would all light up the NCAA tournament with clutch shots and career-best performances. Jackson ended up leading the team in scoring at the tournament off the bench, and two of those recruits, Lucas Williamson and Cameron Krutwig, would make immediate impacts on the court — all Krutwig did was score 17 points in the Final Four, no big deal. I knew losing Doyle would hurt, but the team had potential to make a big step forward this year. In the same way, losing Ingram, Richardson and Jackson will hurt. But this program can keep moving up and build a powerhouse in the Missouri Valley Conference (MVC). Townes and Custer will return next year as seniors and lead the team. Williamson and Krutwig will both have another full summer in Loyola’s strength program and I think it’s fair to expect a sophomore jump from both of them. Oh, and Moser’s got another good looking recruiting class coming in. This year’s team took Loyola on a ride no student ever expected, but every student will be forever thankful for. I didn’t think I’d ever see the day the Loyola student body would care about sports — and I’m the freaking sports editor of The PHOENIX. I’m so happy I got to ride on the coattails of this team and cover them all season. As Moser said in a press conference after the Elite Eight, PHOENIX reporters were the only media in press conferences for the beginning of the season, but somehow the team ended up with a full locker room at the Alamodome in San Antonio. In the past month, I’ve been to St. Louis, Dallas, Atlanta and San Antonio — with a brief stop in New Orleans for spring break. I spent 23 days of March traveling. I went from watching the University of Evansville play the University of Northern Iowa on the first night of the MVC tournament to watching Villanova University play the University of Michigan in the National Championship game. I’ve been on too many planes to count, but I also have a bag full of box scores and media guides. I have a Final Four program and maroon and gold confetti from Loyola’s Elite Eight win and I have a lifetime of memories. I watched and discussed the end of the Michigan vs. Florida State University game with an ESPN reporter and a Sports Illustrated reporter. I took a shot in San Antonio with a USA Today reporter (don’t worry, I’m of age). I’ve learned a lot of things from the big boys this month, but I also learned my dreams of doing this for my life are attainable. 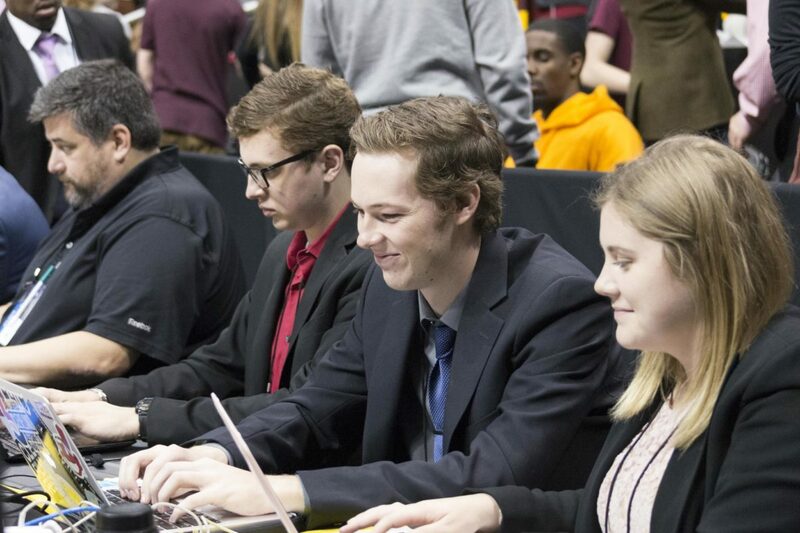 I had so much fun with my co-executive producer of Rambler Sports Locker Hayley Spitler, my former PHOENIX editor Madeline Kenney and one of my best friends, PHOENIX assistant news editor Chris Hacker covering our school go to the Final Four. I’ve also had too many 14-hour work days, too many missed classes and too many nights of three hours of sleep after leaving an arena late and having an early flight the next morning. I’m thankful for every memory and I’m sure it will sink in a little later, but for now, all I want is my bed. Goodnight, I’m going to pass out for a while. And, Go Ramblers. From this alum (Class of 1979), great work! 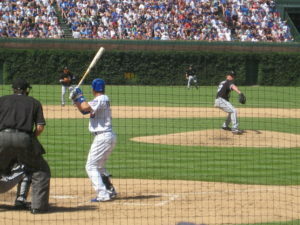 Nick Knacks: Will the White Sox Be Good Soon?